I thank my friend NBS from Nisha's Culinary, who shared her recipe for sweet idlis. 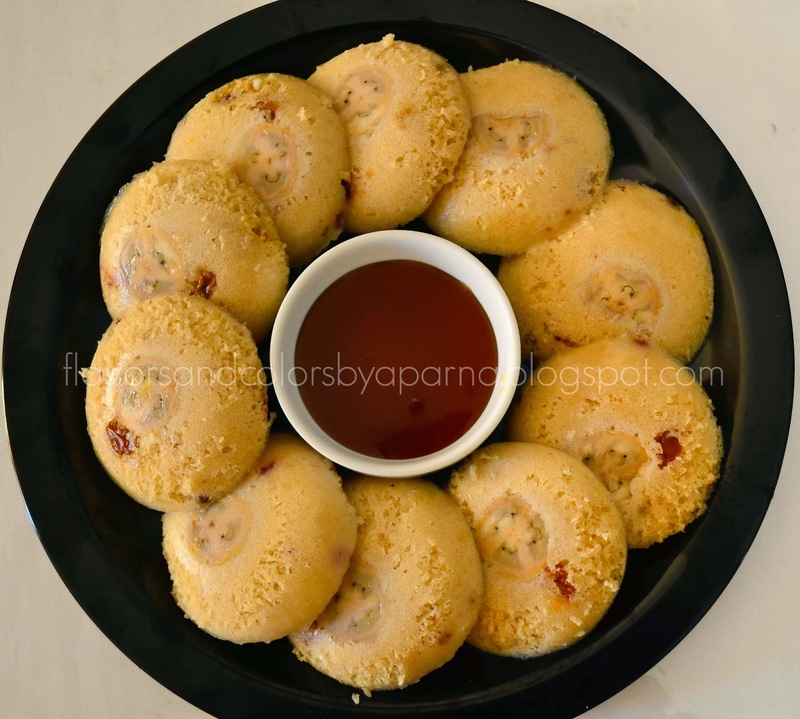 Taste wise these idlis are same like surnalis [spongy sweet dosas], if u have tasted surnalis then you would know what I am talking about :). I attempted them 2-3 times and it was a hit recipe at home. Wash well and soak the rice in enough water for 4-6 hrs. Now drain the water and transfer it to grinding mixie vessel. Grind it with butter milk to rice rawa consistency along with coconut and soaked poha. 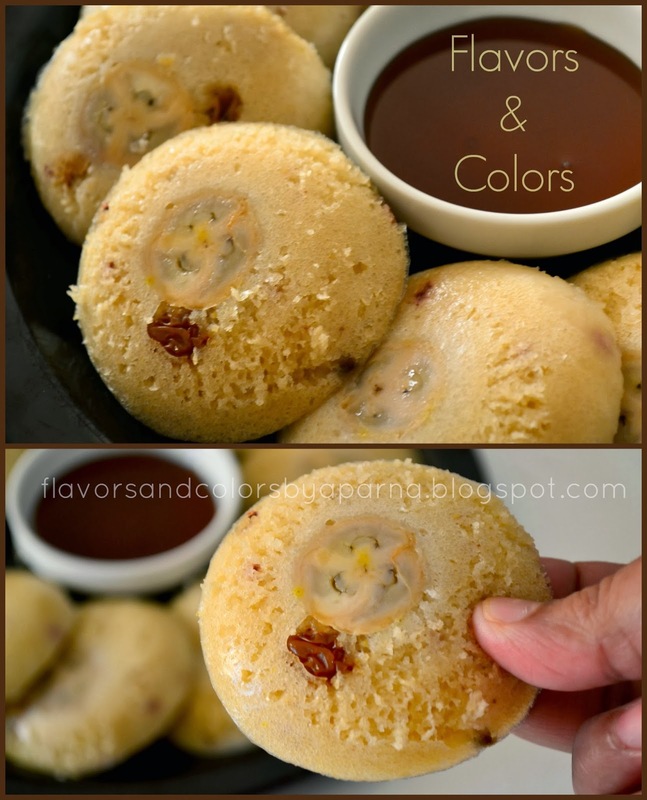 Add jaggery and grind the batter to a consistency just like idli batter, not too runny. Add turmeric powder and mix well. Put salt and don't mix it. Keep the vessel covered overnight and rest the batter to ferment. Next day morning add the chopped banana pieces or mashed banana [2 bananas], fistful of broken cashews and raisins, 1 tsp of soda and mix the batter well. Keep for 5 minutes. Meanwhile prepare the mould for steaming. Grease the idli mould, place a thin slice of banana, pour the batter and steam them for 12-15 mins [without whistle]. Switch off the flame and allow the steamer to cool down a bit. Serve them warm with dollop of butter or honey! I have added the original proportion of poha, coconut and jaggery as mentioned by NBS in brackets in case if you are interested to know and try them. 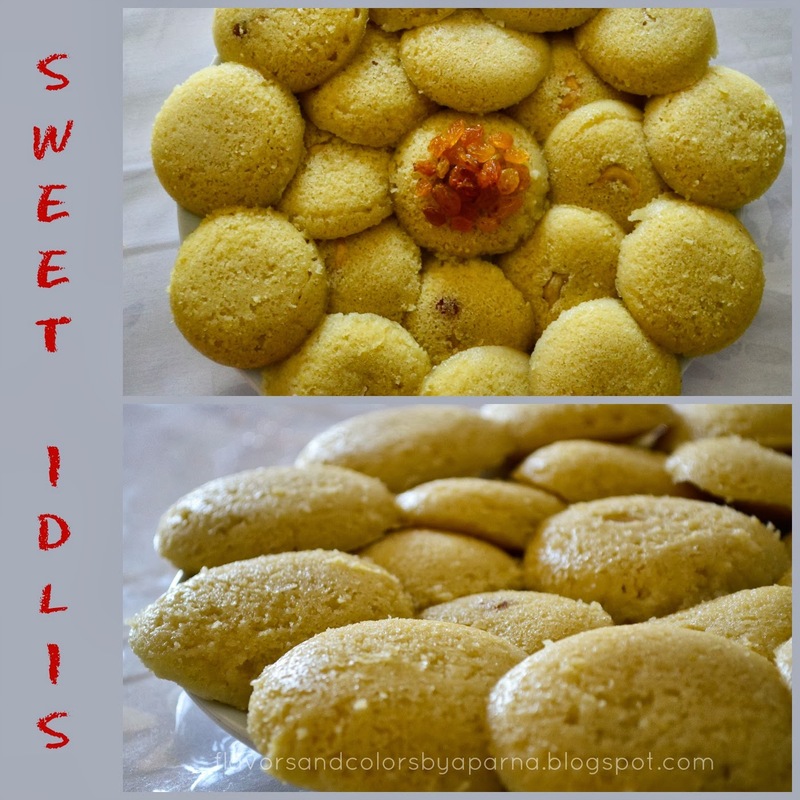 You can try both the versions and enjoy these idlis.